This map shows territory of Afghanistan, of Pakistan. actual map of Samarigam with gps calibration here. interesting map of Samanak Nesha free download. map of Peshawur free download. free map of Pachigram displayed. map of Ganjilukshal with gps calibration displayed. actual map of Daywanah Baba calibrated this. interesting map of Barg-e Matal 1 cm to 1 km this. interesting map of Azok with gps calibration for you. actual map of Ateti и OziExplorer calibration displayed. detailed map of Afsay и OziExplorer calibration here. 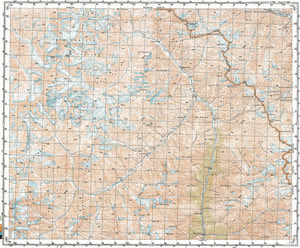 free map of Birzin for gps. interesting map of Justis Ghari и OziExplorer calibration displayed. free map of Khoter и OziExplorer calibration this. actual map of Sastik with gps calibration free download. detailed map of Gufti и OziExplorer calibration this. free map of Ghalok free download. map of Khalarik with gps calibration here.